Great quality cables that are reasonably lengthy. Maintains your set temperature even in use due to intelligent programming. High-quality materials allow for easy cleaning. Offers big value at its price point. Cables can get in the way or be tripped over. May not be easy to use with smaller rigs. Can’t be cleaned or put away immediately after use due to high temperatures. 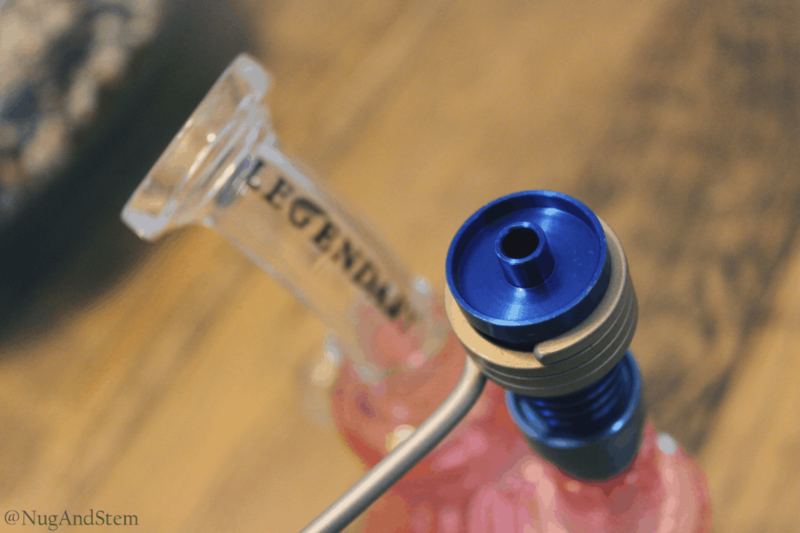 The idea behind the 710 eNail is to allow you to dab without the need for any high-temperature open flame torches or other niche equipment. 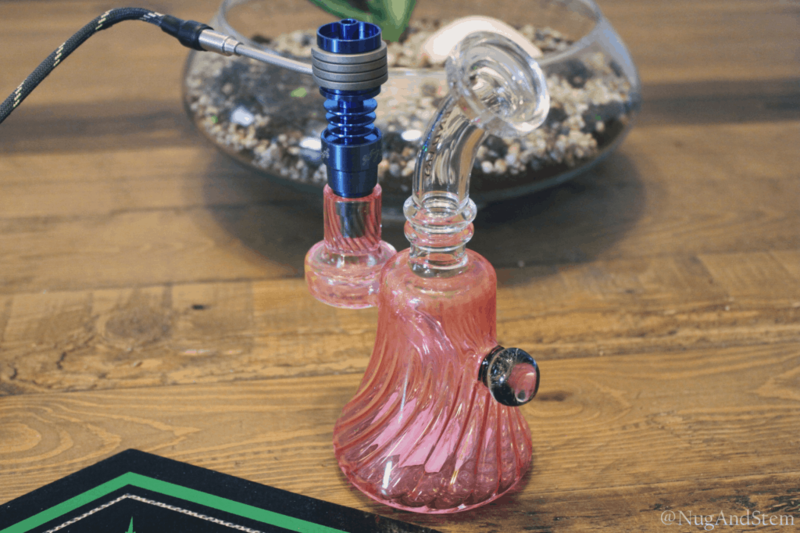 As long as you have a bong or water pipe available, this product will provide you with all other necessary equipment to begin dabbing. 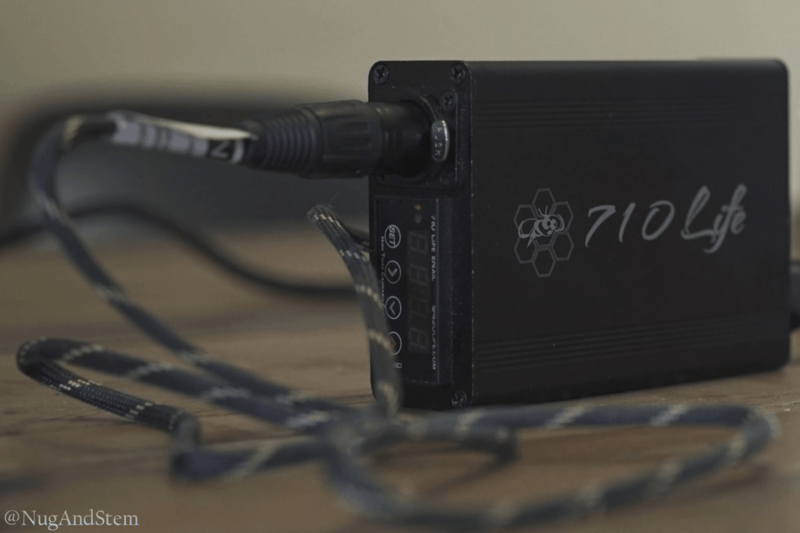 In terms of product build, the 710 eNail is a great device that is super easy to set up. The device is not overly heavy, because it’s made of titanium. This allowed our small Legendary rig to stay steady with the device attached. The power cable and heater cable both have a long length, making the device convenient to use in any location. However, be careful, as the cables do cause some tripping hazards. We would recommend using the device with a bigger rig, as the weight and cable might cause a smaller rig or bong to fall over. Overall, the product has a very versatile design and will fit all stems due to its reversible male and female one-size-fits-all profile. During the heating up process, the temperature remains constant and is very easy to maintain. The temperature settings go up by 1F each click. If you hold the button, the temperature changes rapidly. 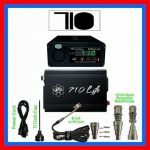 The 710 eNail is extremely fast to heat up and cool down. The device boasts a wide range of temperature from 50F to 1200F. We never tried anything above 800F but if you are daring – the option is available. The power supply can support these high temperatures safely due to its fuse protected circuit. The important thing is that you can monitor your temperature at all times due to the readout screen on the power supply. 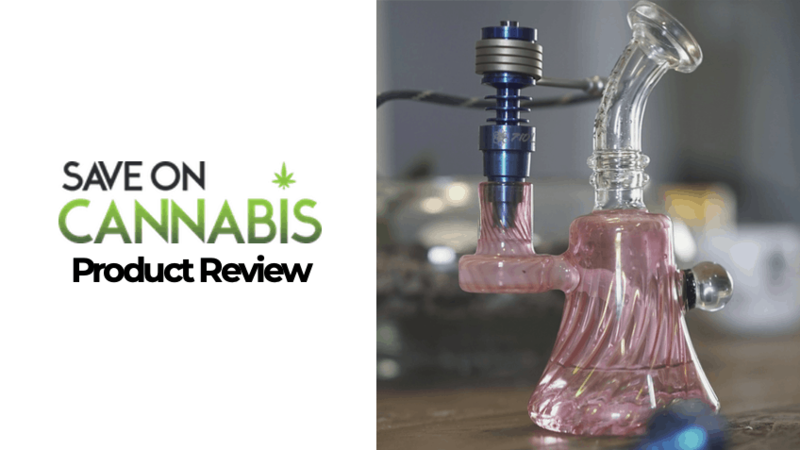 The hits from the 710 eNail definitely feel healthier than butane – even if only in our minds. At our favourite temperature range between 500F and 700F, the inhale is very smooth and can be compared to a typical vapourizer. The device is smart enough to auto increase the temperature by approximately 20F when you inhale. This prevents the temperature of the nail from dropping and it maintains your set point. With the device, we mostly smoked some high heat extracts Green Crack shatter. We experienced a wonderfully smooth inhale and immediate uplifting effects. The highs provided a euphoria without taking away focus and allowing productivity. In terms of taste, it was very piney. We did also smoke some home CO2 extracted oil, which had a nice spice to it. This created more of a head high but did help manage Stem’s spine pain. We also tried some of Faded Cannabis Company’s Lemon Haze. This was super smooth. The rig makes the shatter last a very long time. You can get lots of hits from a small amount, so the device is highly efficient. The Afgani Hash and Kief we tried didn’t work out as well, as they just burned. Overall, the experience using the device was very fun and convenient. At the end of any session, we would recommend turning the device up to an extra 50-100F for the last few hits. 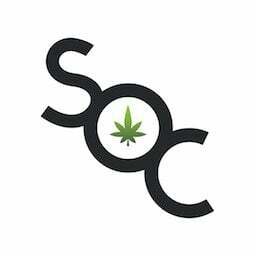 In terms of cleaning, the area you dab on seems to get sooty quickly, and the resin collects fast in a burnt waxy texture but it does not seem to affect the flavour negatively. We cleaned the dabber and the eNail with 70% alcohol wipes between and before sessions. The device can create a smell in your house after use, but this is not nearly as bad as smoked cannabis. The device can’t be put away immediately after use, as it will be hot for a while, but not too long. For a deeper clean, simply soak the eNail in some isopropyl alcohol and rinse off with water after a few hours. Nug finds that the highs from the eNail are not predictable and warns that inexperienced users should really start low and slow so they don’t consume too much. She also doesn’t like that the highs did not hit her immediately and she couldn’t gauge if she should continue taking hits or stop. Since the product is really fun to use, you’ll want to keep taking hits, but we just recommend that it is best to go slow with this one. Stem loves that the eNail can be used indoors without producing significant odours. 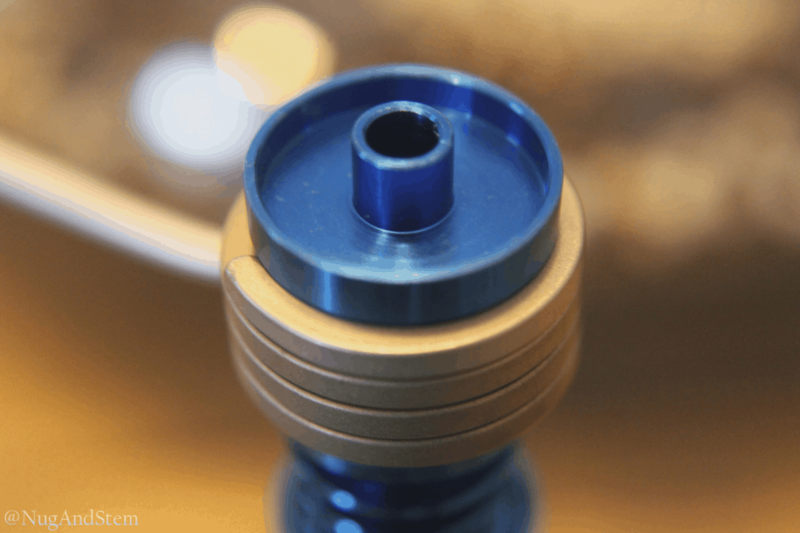 It hits smoothly and is very efficient with shatter and oils. The high-quality titanium allows you to taste the full flavour of your shatter and the highs are very enjoyable. The product added a nice variety to our consumption and we are certain that we will continue to use this product for a long time. Should You Buy the 710Life eNail? Yes! If you are interested in starting to dab but don’t want to go through the hassle of using torches (and risk looking like a pyromaniac) this is the product for you. At the price point, the product will bring a lot of value. The free 1-year warranty on failure and defects also should give you some security with your purchase. 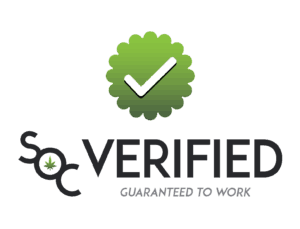 And the various awards this brand has received from the likes of High Times should indicate that the product is absolutely worth your investment. Save money with eNail coupon codes and other dabbing tools.